Enjoy this Global Water Five-Stage Reverse Osmosis Filtration System review. This filtration system, which goes by the name of Global Water RO-505 Reverse Osmosis Filtration System, purifies water by eliminating 99% impurities from it. It is a high-quality product that filters out unwanted minerals, chemicals, and odor to provide you with clean, fresh, and safe drinking water. 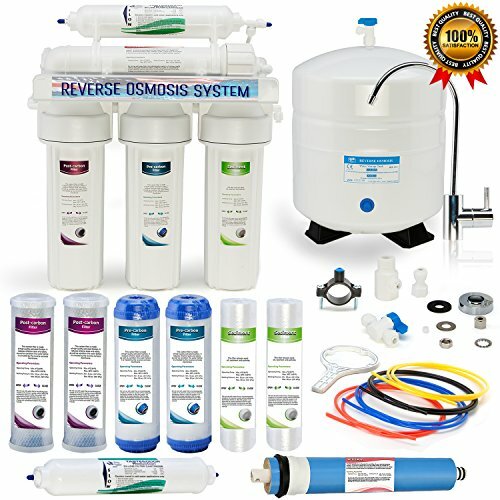 This product has a unique reverse osmosis system that decreases the number of dissolved impurities in the water. Global Water RO system gets rid of 99% contaminants using the advanced RO filtration techniques and multiple layers of filters. Impure substances like lead, fluoride, arsenic, chlorine, bacteria, and various other solids are removed from the water by this filtration system. 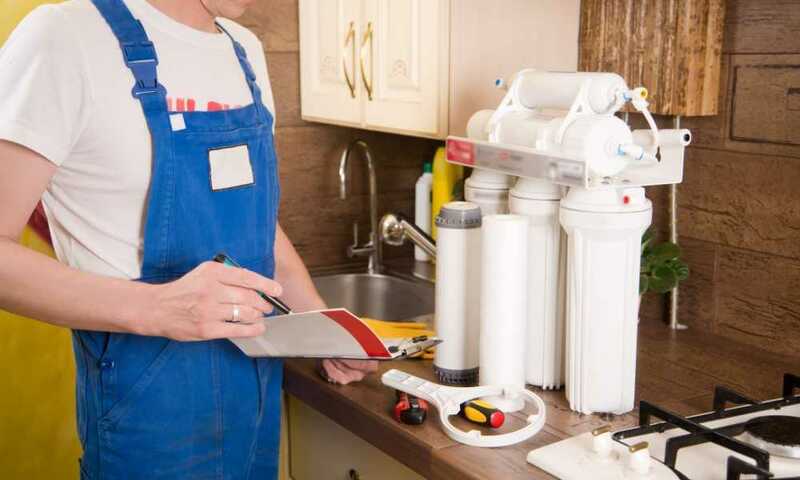 This filtration system meets the term and conditions of the NSF/ANSI standard 58 and has been confirmed to have a lead-free faucet installed. The Global Water RO-505 system does not only filter out the impurities, but it also makes your drinking water healthy by adding essential minerals. The machine is easy to install; you can do assemble and install it on your own if you have basic DIY skills. It takes about an hour to set up the entire system. Usually, filter systems require some sort of clips or locks, but this system has a self-secured structure. It is the solution to your daily pure water drinking issues, as it not only filter water but also make it healthier and tastier. The Global Water RO-505 filtration system provides high-quality water as it uses five-stage filter process. The filtered water contains essential minerals and also tastes good. It also features a high-quality lead-free faucet and uses a lead-free steel tank with a large capacity. The product also has an NSF/ANSI standard 58 compliance as it is tested and certified by NSF. It is designed to filter out more than 1000 different types of impurities which include minerals, chemicals, pharmaceuticals, bacteria, virus, and odor. The Global Water RO-505 Water Filter has numerous qualities which qualify it to be considered among the best RO filters out there. Some of the attractive features include lead-free faucet and lead-free steel tank which work against the lead hazards. The RO system is also NSF/ANSI standard 58 compliant tested and certified by NSF. It also uses BPA free materials. The boxed set includes an RO system, a faucet, a tank, colored tubing, relevant valves, and an installation kit. Global Water RO-505 Filter does not require batteries to function as it operates using hydraulic pressure. The capacity of the system is to purify about 50 gallons a day. You can replace the filter every six or twelve months or just once a year if your area already has a purified supply of water. That could be about 18250 gallons in total purified by the filter without being replaced for almost a year. It is not recommended to use it for dishwashing as the water pressure is too slow. Compared to some other RO systems, it wastes a lot of water as it consumes four to five gallons to produce one gallon of filtered water. The RO-505 filtration system is a lighter product than many other similar products. If you compare it with another similar product, Express Water five-Stage under Sink Reverse Osmosis Drinking Water Filtration System, you can find many similarities as well as differences. It is heavier and bigger than the Global Water RO-505, which makes it more difficult to carry. It also requires you to change filters more frequently which can be more expensive and time-consuming for other people. If you compare the taste of the water, the Global Water RO-505 produces a better taste than the one produced by Express Water RO system. Just like other RO water filters, water begins to taste different after a few months, until the filters were changed, but this is not a problem with RO-505. In the Express Water RO system, the tank takes too much time to fill up and does not even provide the same amount of water as RO-505. Simply put, if you compare the filter quality, the filter life, water taste, and weight of the RO system, you can find RO-505 as the better option than many other similar five-stage RO filter systems. The Global Water RO-505 Filtration System takes care of your worries related to safe drinking water. It makes sure that you can get access to clean and pure water anytime. The advanced five-stage filter system provides you up to 99% of clean water so you can be sure that you and your family take nothing but fresh and healthy water every day.